… while we were out picking the kudzu blossoms – the sweet smell of the Maypops was SO awesome!!! I wondered … Are they edible???? I came home and began researching. I discovered they are not only edible … but the Maypop (which is where Passion flower comes from) is VERY widely used in herbal medicines. The flowers, stems & maypop fruit are almost all good for something! So I found the recipe and the next time we went out to the farm … we picked maypops! Combine the maypops and water, and boil gently for 5 minutes. Then strain, discarding the pulp. Combine the liquid and sugar and bring to full rolling boil. Add pectin, and again bring to rolling boil. Remove from heat, pour into hot, sterilized jars, and seal. 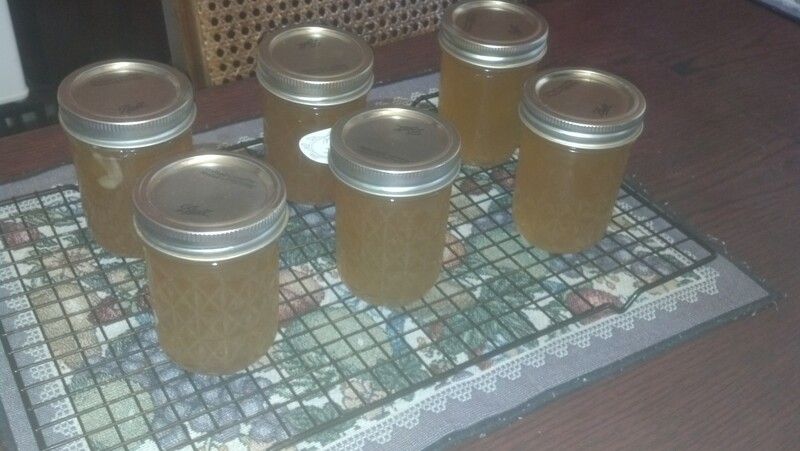 *See the Kudzu Blossom Jelly Recipe special note for further instructions.